School has been out for almost a week and the family and I are already having fun. Not only are we preparing for our new addition making her debut at the end of this month, but until she gets here, we're making the best of our Summer hanging out together as a family. We did a lot of traveling last Summer, going to lots of places that had animals, water-parks, camping and visiting family that lived a few hours away. Although this Summer won't be as busy as far as traveling goes, my goal is to make sure my kids still have an amazing Summer before they go back to school. Since I'm nine months pregnant, there's a lot of things I'm limited to this Summer, but I'm making the best of what I can do and making sure my kiddos still have fun this Summer. Outdoor Movie Night - My in laws have a projector that they bought a couple years ago just so anyone in the family can watch movies outside. We had so much fun doing this last Summer, we'll definitely be doing this again this Summer. It's easy and even after the baby is here, I can still enjoy this activity with my kids. Local Splash-pad - Who says you need a lot of money to have fun? Our local splash-pad is available seven days a week and costs absolutely nothing. The kids always have tons of fun when we go. I fill our cooler up with juice, water, fruit and sandwiches and a book for myself and the kids spend hours having some fun with water. Outdoor Fun - Whether it's playing on the trampoline, blowing bubbles, drawing with chalk, painting on canvases or riding bikes, there is always something to do outside for my kiddos right outside. The best part is once it gets too hot they can come in and cool off for a bit before going back outside to have more fun. 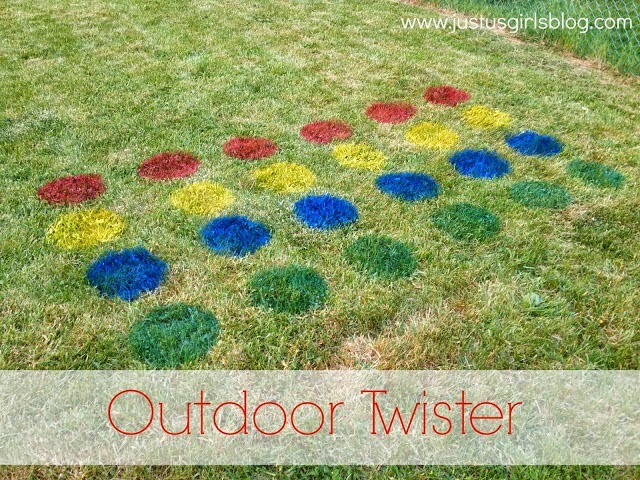 You could even try Outdoor Twister we shared with you last Summer, it's fun and great for the entire family. Backyard Camping - We;ve been doing this for years now and the kids love it. 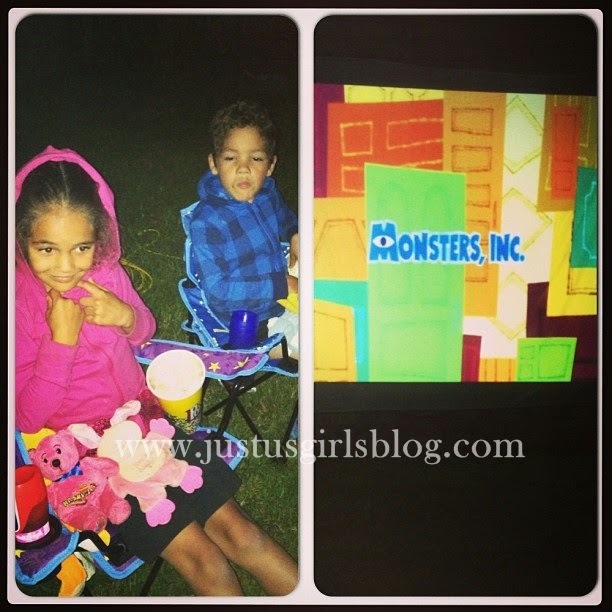 Setting up our tent in our backyard with a bonfire and making s'mores is something my kids love to do. What better chocolate to make them with than Kinder Eggs? My kids love cracking the egg and melting the chocolate, makes perfect s'mores! Even if they sometimes don't sleep in the tent the entire night, it's awesome to have it up in the backyard for them to have some fun with. Although we won't be traveling to the states this Summer due to me being so far along pregnant, if you are traveling in the states, be sure to remember that Kinder Surprise Eggs are NOT allowed across the border. Whether you're traveling or staying home, what fun things do you plan on doing with your family this Summer?